Share the post "Fresh Cut Spring Flowers Tips"
Fresh cut spring flowers in your home will help usher in the new season and tide you over until the grass is green. Here are a few tips for getting the most out of your spring flowers. 1. Daffodils are oh-so-cherry, however they do not easily get along with other fresh cut flowers. Daffodils secret a substance called latex which is harmful for other flowers. Allow daffodils to sit in water for at least 24 hours, do not recut the stem, and change the water before mixing with other flowers. 2. Tulips keep growing, or “stretching”, after they have been cut. 3. Buy your flowers with closed blooms. A barely visible tulip bud is best. Don’t worry, it will soon bloom in all its glory. 4. Use chilled water for fresh cut spring bulb flowers, or place ice chips in room temperature tap water. 5. Place stems in shallow water. Ensure only the base of the stem is submerged; this delays the stem from deteriorating. 6. Remove leaves that will be below the water line to prevent rot and bacteria growth. 7. After giving your tulip stems a fresh cut, wrap them snuggly together with newspaper for a few hours. This encourages the stems to remain upright as they continue to stretch. 8. Gently create a small incision with the tip of sharp knife through the green stem just below the base of the tulip bud. The tulip will remain upright. This works! 9. Always use the flower food sachet provided by your local florist. 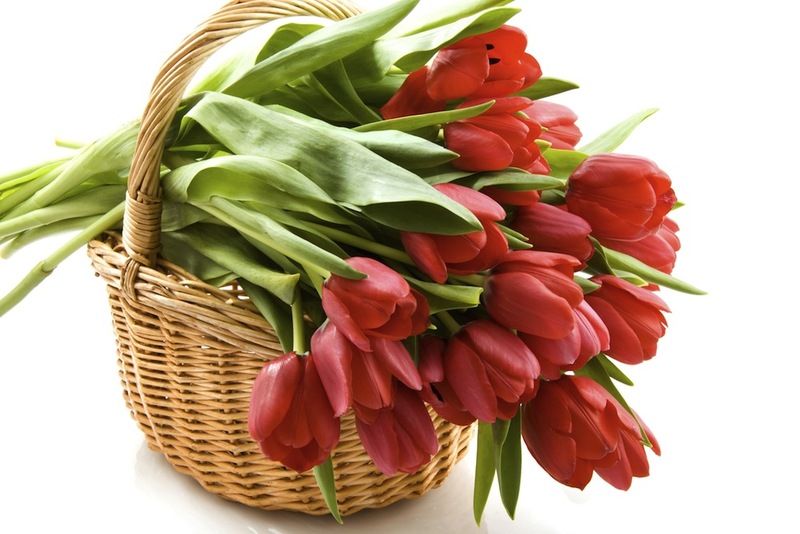 It is chemical designed to provide your flowers with the best possible nutrients needed for prolonged vase life. 10. Tulips and Daffodils are easily the first flowers to come to mind when anticipating spring, but don’t forget about other beloved spring blooms! Crocus, Muscari, Hellebore, Iris, Snowdrops and Pansy’s are all great flowers to bring into your home while the snow is still on the ground.